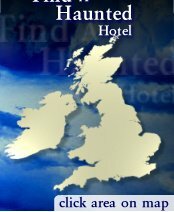 Become a Member of hauntedhotelguide.com and you will enjoy many benefits including a monthly newsletter with haunting updates, news about new Haunted Hotels, Haunted Castles and Haunted Inns joining our site and exclusive discounts and special offers from participating Haunted Hotels only available to our Members. Our WeekendHaunts include Dinner, Bed and Breakfast plus full Paranormal Investigation by one of the UK's top investigative teams consisting of a Group Tour with Mediums; Group Vigils and Séances with mediums followed by full discussion and debrief of findings. We will also let you know about all our Haunted Hotels, Haunted Castles and Haunted Inns' special offers and events that they are running and give you the opportunity to enter competitions to win a variety of prizes and haunted breaks away. Which magazines and newspapers do you buy?